This year holds much promise for new and expanded business class products, with new seats and new types of seat on the horizon as seatmakers, airlines and their design partners continue to innovate. Meanwhile, 2018 was more of a period of consolidation: of seatmakers, of products, and of rollouts. Looking back over the last year, it’s impressive that the standard of business class seats remains so high that leaderboard ranking them has actually changed less than the number of seats delivered would suggest. Yet the arrival of the CL6710 from Recaro, and the updated Singapore Airlines A380 seat from Jamco, provide new options for airlines declining a doored suite. 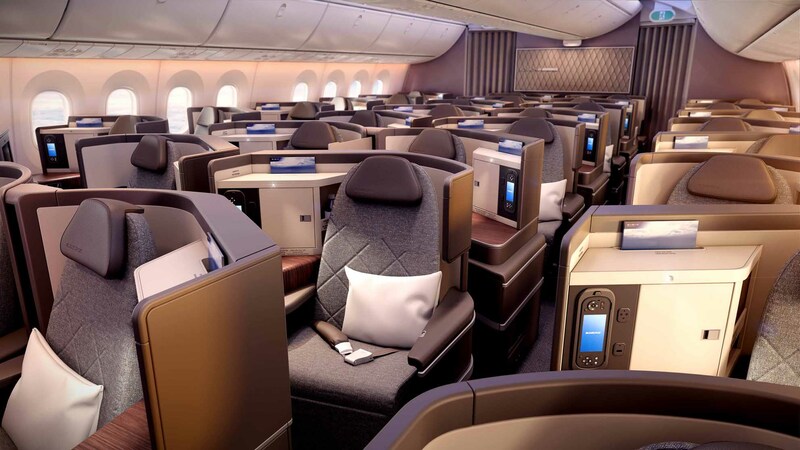 And new selections of many of the seats on the list provide more opportunities for passengers worldwide to have a better business class experience. The new entries to the list are fascinating ones. Despite its expansion of manufacturers including Jamco and Stelia, Singapore Airlines has managed both to maintain its longhaul brand and dramatically improve its regional product. 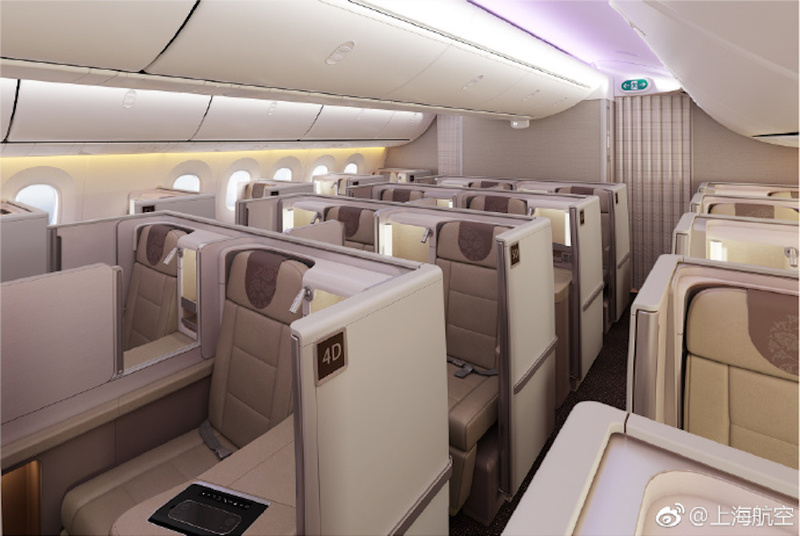 Longhaul sees evolutionary products for the A350, 777 and A380 manufactured by Jamco, working in much the same way as its popular previous generation products, but with the A380 product now featuring double beds in business class. 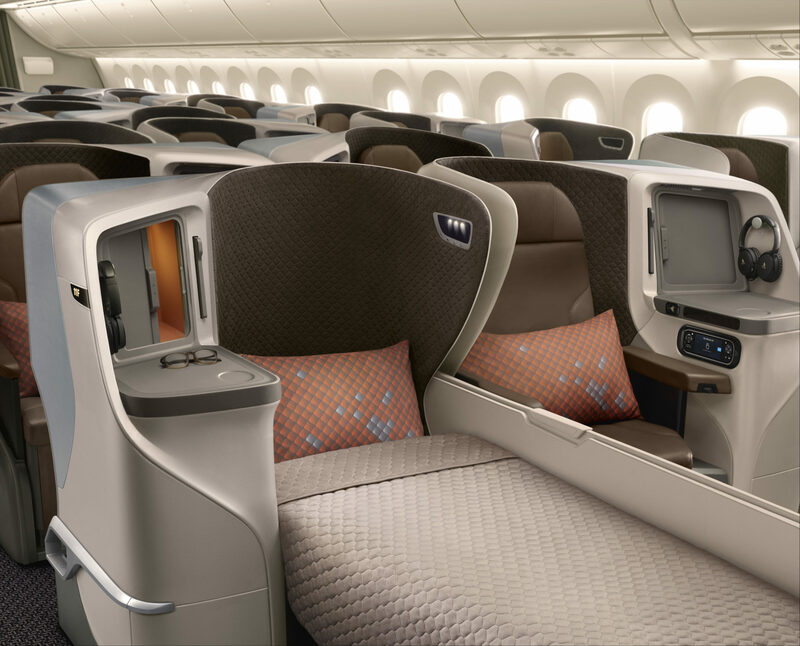 Altogether, it’s hard to separate the SQ products by ranking, but given Singapore Airlines’ investment in design language, together they take an impressive family approach that place them above the rest. Meanwhile, Singapore Airlines’ new regional seat, Stelia Symphony, which is also the product Turkish Airlines has chosen for its longhaul business class revamp, is a major improvement to the previous angled lie-flat seats and a useful update to the Solstys family of seats of which it is a member. Symphony sits alongside Solstys, Thompson’s Vantage XL and the Recaro CL6710 in the category of closely competing staggered seating that, on balance, it’s hard to put any clear blue water between. So, with the top of the list still featuring the doored suites, Apex and the herringbones, has the industry been sitting on its hands for a year? Absolutely not: the business class landscape has changed significantly. Let’s start with the consolidation — a key focus of 2018— and not just in that the two major premium seating manufacturers have new names. Partly, this consolidation has been in continuing rollouts of the Qsuite, Vantage XL+, Apex, Super Diamond, Cirrus, Optima and other excellent (and much improved) seats on existing customers and to new aircraft within those customers’ fleets. But it’s also been in new customers for these base seats, from quarters not previously seen. Shanghai Airlines choosing Vantage XL+? Previously low-cost WestJet picking a modern, sleek Super Diamond implementation? The bar is well and truly raised. The consolidation has also been in places one might not have previously looked, with airlines offering a sub-par former business class experience moving to one that’s quite good: El Al and TAP, for example, moving to the Recaro CL6710, or Turkish Airlines’ newly announced product, which I believe is Stelia Symphony. And it’s about a new generation of carriers across the world being not only able but willing to choose business class seats with direct aisle access, which raises quality for more flyers. Air Senegal, for example, seems to have been the quiet launch carrier for Stelia’s Opal compact staggered seat, continuing the trend of small African airlines like RwandAir, which chose Vantage XL. Looking forwards, new seats and new models are on the way too, raising many questions. 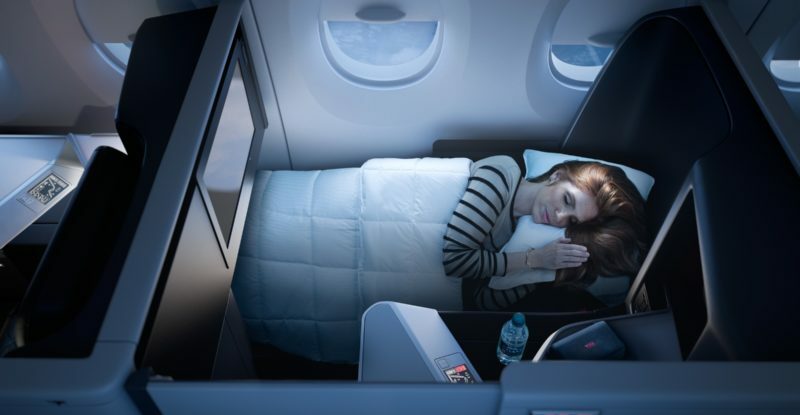 British Airways recently unveiled its long-awaited, much-promised successor to its 2006 update to its 2000-format forwards-backwards yin-yang seat. The big news is, of course, a door. The design language is very similar to other Collins Super Diamond implementations, from the shapes to the sliding table, to the geometric shaping of the storage areas in the arm space. Separately, with the A321LR gaining traction, what will airlines install on the premium versions of that aircraft? What about the A330neo and accelerating deliveries of the A350? 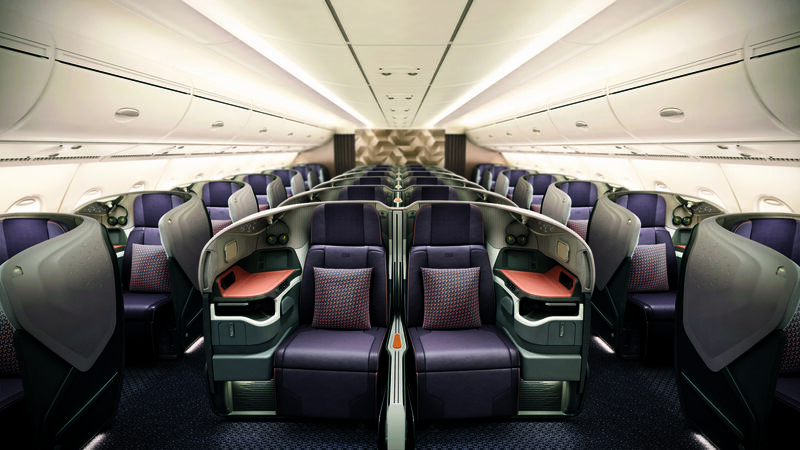 How will airlines update their 787 cabins, a decade on from selection in some cases? Who will take the updated versions of existing seating models from the major suppliers? How will the slightly wider seats on the Boeing 777-9 and 777-8 program change the perspective? What about the NMA/797 — and indeed Airbus’ response? I, for one, can’t wait to see what changes this will bring. John, sure you have flown all of them? Your ranking would have be different I guess if you had experienced all of them. I’m sure your article would have been more cautious and pax oriented instead of being so enthusiastic. The truth is that business class seats are increasingly small, cramped and uncomfortable (the pics in this piece show that quite clearly). And, sadly, this comfort decrease is not linked to any fare decrease (something that happened in Europe with the LCC carriers for example). When you also consider the decrease of the level of the quality of the food served on board and of the amenity kit, the entire picture is quite depressing for the premium class pax today. The only big advance is in the entertainment system. More or less really good on the new tech seats nowadays.